This reading challenge is a slam-dunk! Looking for a fun way to create excitement around reading this month? 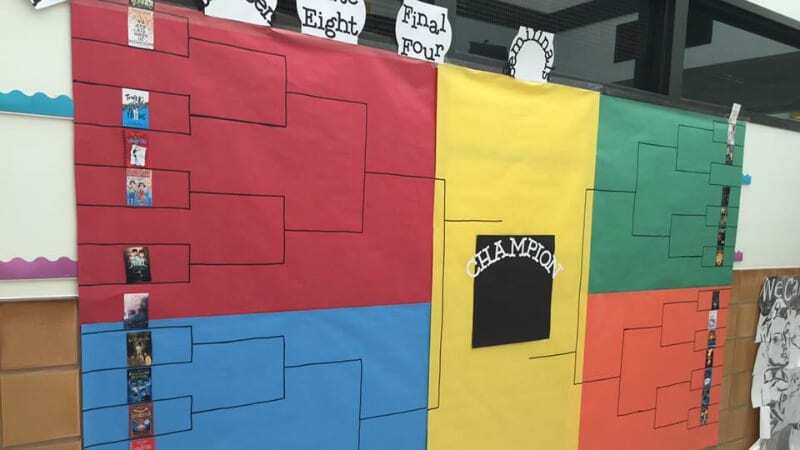 Sixth grade teacher Katie Mitchell recently created a March Madness book bracket for her students. We spent some time picking her brain about the details. My students this year happen to be a very competitive group. I was looking for a way to channel their competitive spirit in a way that would enrich their love of reading. 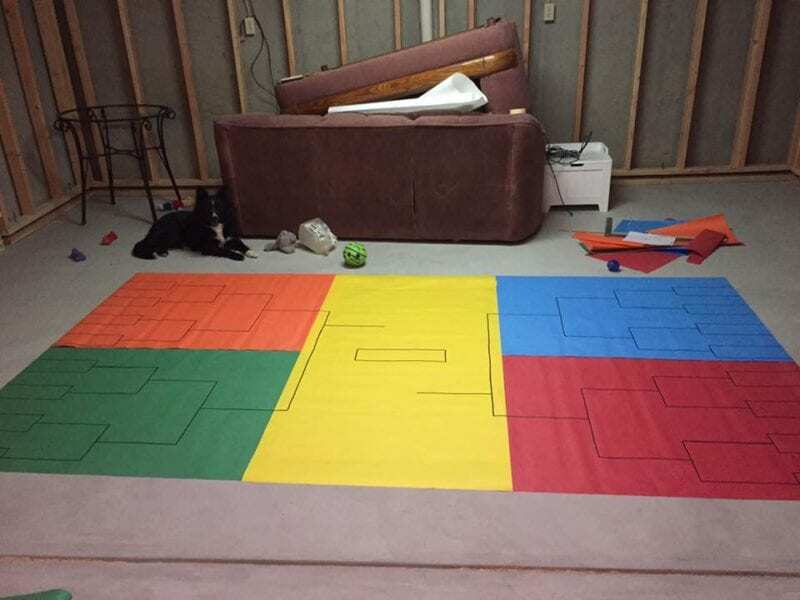 We are in the middle of state testing and there is a lot of time for free reading, so I was looking for a fun way to do something different that didn’t require too much time or effort to implement and I was inspired by the NCAA March Madness tournament. The next day at school, I explained what we were doing and asked each student to choose one book that they would highly recommend to their classmates—not necessarily one they were reading right now, but one that had made an impression that they wanted to share. Some of the students had to choose two and I also chose one so that the bracket would have an even 32 picks. I printed off copies of the books’ covers and added the students’ choices to randomly assigned spots on the outside brackets. For each match-up, the student who recommended each book was given 30 seconds to “sell” their book to their classmates. Then for each round, all the kids voted for the winner with their clickers as I used my phone to scan the results. The kids were so excited to see the results! I could hear them chattering in anticipation as they came down the hall. So how will the madness proceed? For each round, we’ll repeat the process of the one-on-one matchup with each student having an opportunity to make the case for their pick. As the brackets proceed, I will allow more time for each student’s persuasive summary. Some of the kids want to make posters or power points to accompany their presentation, which we will have more time for as we approach the final match-ups. How have your students reacted ? So far it’s been a great forum for sharing our collective love of reading. It’s definitely generated a fresh buzz of interest. Some of the kids have been swapping books and although many of the titles are not available in our school library, some kids have been bringing copies from home. I also plan on going to our public library to check out copies so that they are readily available in the classroom. All in all, I’d say it’s been a successful tournament and a lot of fun for everyone! What do you say, teachers? Would you try a book bracket? How else do you use March Madness in the classroom?